I think I gained a pound or two just reading this delectable little morsel. Using oh-so-tempting cookies to teach children the significance of new vocabulary words, Amy Krouse Rosenthal’s text can be challenging depending on the age of the child (compassion, envy, open-minded). Other concepts are more commonplace: honest, polite, fair, patient. Accompanied by watercolor images you’d find on a Victorian era postcard, the book thoughtfully portrays scenes in which children can imagine themselves and helps them to identify and explain their feelings. 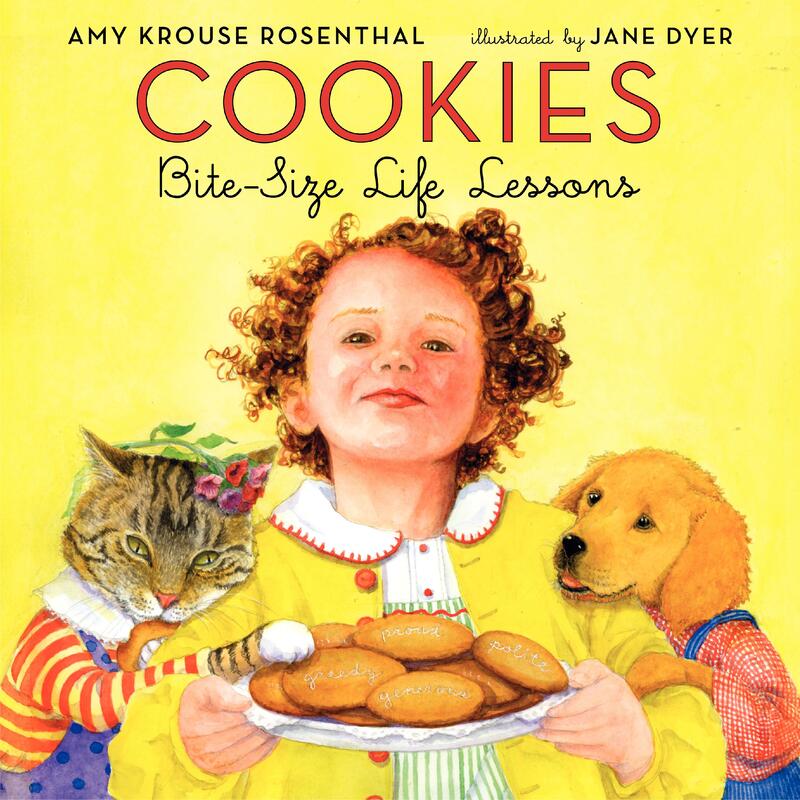 What I like best about Cookies is that the paintings feature children and their animal friends, interacting and demonstrating the book’s life lessons. For example, when Trustworthy is defined as “If you ask me to hold your cookie until you come back, when you come back, I will still be holding your cookie,”we see a horse leave his cookie in the care of a little girl as he puts on his overcoat and departs from the room. We later see him peeking through the doorway to check on the status of his cookie. Sweetly told and depicted, Cookies is a yummy find, that’ll leave you wanting, well, cookies! Here are some of my favorite vegan cookie recipes.